Our Wire podcast series continues with a forty minute interview with David Simon! Sunday is getting closer. 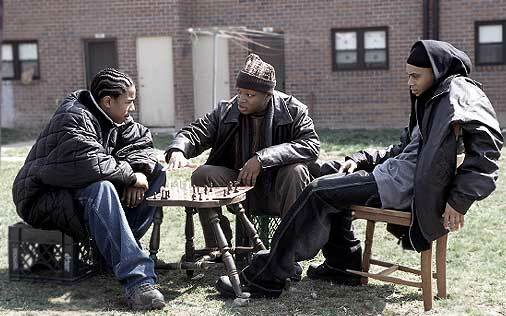 In the meantime, hear what The Wire’s creator has to say about the show. Right click here and select “Save Target As” in order to download this onto your computer. 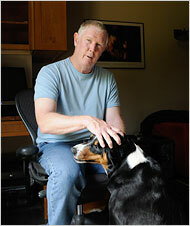 Here are just a few of the thousands of interviews with and articles about David Simon. Check back tomorrow for the next installment in The CEM Wire podcast series, an interview with Robert Chew, the actor who portrays Prop Joe! 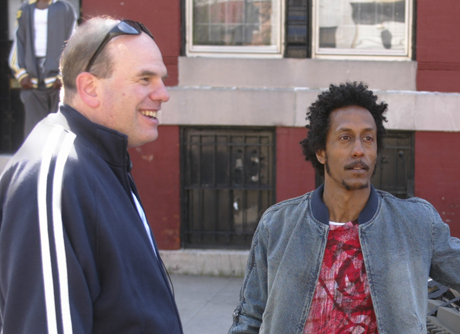 Much more to come as well, including an interview with Andre Royo, pictured above with David Simon. Love it love it love it – is there any contact info for David Simon or Ed Burns? I’d love to volunteer my help for any projects they might have ongoing if they can use college-educated adults with free time to do research, legwork, or whatever. 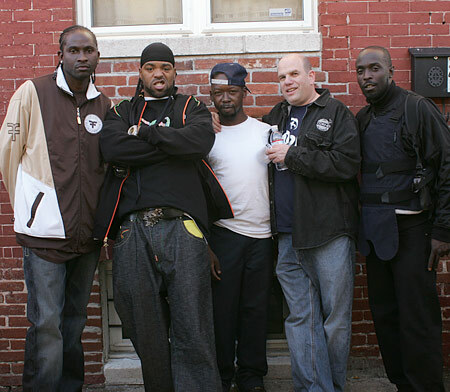 When I watch The Wire, I feel so much love for humanity radiating out from the fine souls who created it – makes me want to join up! 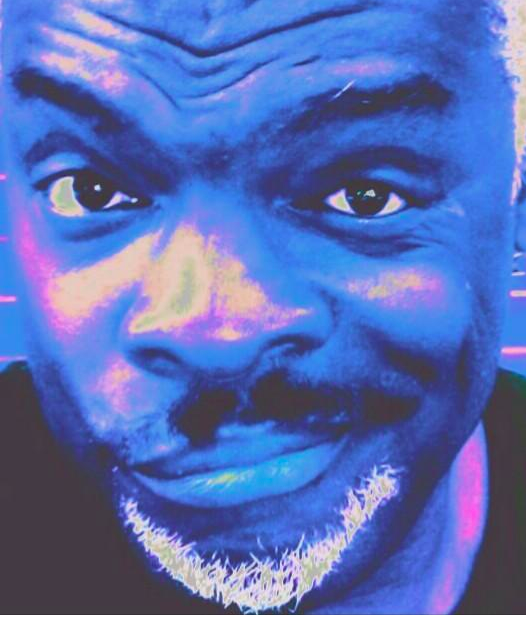 Thank you one more time for instructions on how to subscribe to CEM podcasts. It works great, and they are excellent company while I’m out and about, walking. Something weird happens near the end of the interview. From 36:35 to 38:33, the interview is drowned out by what seems to be the music cut that was supposed to roll under the closing credits. Can this be repaired (I hope)? Thanks for the heads up, Ron. The problem is fixed! Thank you for posting transcripts. Delete the Simon interview from the iPod. Delete the Simon interview from the podcast folder in the iTunes library, sending the file to the recycle bin. Click the refresh button at lower right of the screen. After a few seconds, the screen gives the opportunity to get the new version of the Simon interview. That was a beautiful interview. I’m rewatching the series and it really does provide alot of insight into the series, really provides me with more issues and layers of the show to think about and focus on. There’s such an enormous amount of detail, criticism and tragedy embedded into this incredible piece of art. Everything that’s depicted in the show has literally opened my eyes to an entirely new world I had no idea even existed. Thank you Mr. Simon and Mr. Burns, and thank you Marc Steiner for providing us, the viewers, with a glimpse of what goes on in the background of the creators’ mind.